Anti-Social Networks? We're Just As Cliquey Online Social networks such as Facebook and Twitter are helping people keep in touch with a wide network of friends and family. But just how social are those networks? As part of NPR's Fractured Culture series, Laura Sydell investigates whether social networks are simply moving real world cliques online. Call it "disintermediation" or "cultural fragmentation," but American culture is sliced up in so many ways that what's popular with one group can go virtually unnoticed by another. NPR's Fractured Culture series explores how we came to live in "a culture of many cultures." Social networks such as Facebook and Twitter are helping people keep in touch with friends and family. But just how social are those networks? Are Internet communities simply "real-world" cliques moved online? Dwayne Aikens uses Facebook to stay in touch with people he already knows — friends and family who, for the most part, share his political views. Aikens lives in Oakland, Calif., and runs a nonprofit that focuses on health and fitness. "A lot of my friends are Democrats and liberals," Aikens says — and his Facebook newsfeed reflects that. He doesn't see many posts from conservatives, he admits. Facebook's software may be reinforcing his tendency to only see links from people he agrees with. When Facebook displays your "Top News," it's guessing what you're interested in seeing based on how often you have clicked on a particular friend's entries in the past. Most people don't click on posts that they disagree with, explains Dean Eckles, a Stanford Ph.D. candidate studying social networks. And if you don't interact with content — meaning you don't click on it or comment on it — services like Facebook have no way of knowing that you are still interested in seeing it, Eckles says. Facebook and Twitter can act as echo chambers where you interact primarily with others who have similar interests and politics. But both services can also connect you with people you don't know — fans of the same sport, movie or TV show. If you look at trending topics on Tuesday nights you might see hashtag — #The Game. It's a drama on BET about the lives of African-American pro-football players. Aikens watches and tweets the game. He loves the show, he explains, because it looks beyond stereotypes of African-American athletes. That the show is still on the air today is thanks in part to its fans on Twitter. Back in 2009, when the CW network canceled The Game, angry tweets went out from the show's loyal audience. Kyra Gaunt, a professor at the City University of New York's Baruch College, says the Twitter conversation focused on the lack of good programming about African-American life — even on BET. Gaunt says BET heard the complaints and picked the show up. "I think there's a little bit of wishful, hopeful thinking," Gaunt explains, "that something might turn a corner with the way that BET mediates images of black people. We don't want a black version of MTV." According to a study by Edison Research, 25 percent of Twitter's users are African-American. African-American teens and young adults are using cell phones to communicate with friends, says Craig Watkins, a communications professor at the University of Texas. 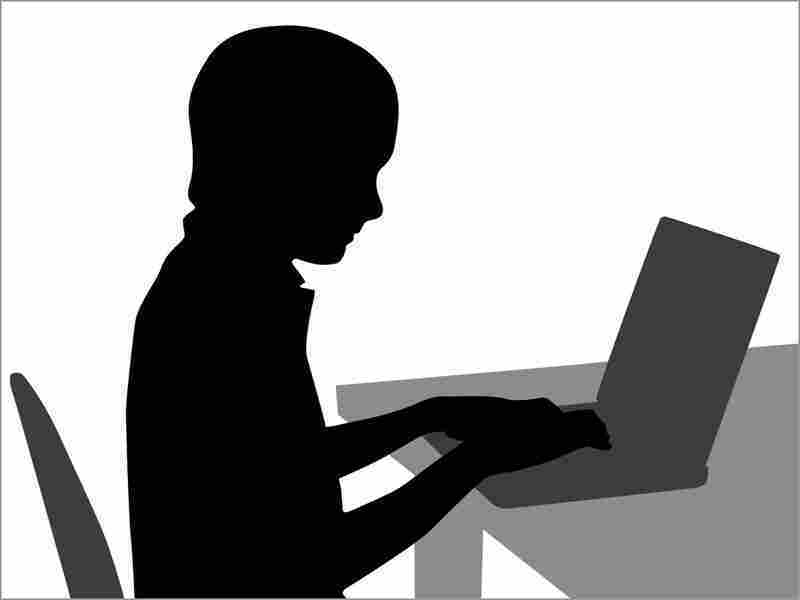 Cell phones serve as the main entryway to the Internet for teens in low-income families without home computers or broadband. "That mobile device becomes a ... reliable way to do the kinds of things that they want to do online," Watkins says, whether that's watching videos, updating Facebook or using Twitter. But while many Facebook interactions remain private — visible only to friends and friends of friends — Twitter conversations are much more public. "It becomes about listening," Gaunt says, " 'Oh my God, I can listen in to what black people are talking about.' "
Gaunt, who is African-American, says having conversations about race on Twitter has been a freeing experience. People feel they can be honest, she says. "You can really have a conversation and not worry about getting punched in the nose," Gaunt says. "There's debate, there's engagement, there's learning." Some of the friendships Gaunt has forged on Twitter have even spilled over into the "real" world. "I'm meeting strangers," she says — two in the last two weeks, in fact. "I met them and I felt like, 'This is my tribe.' "
Though Gaunt is using social networking tools to reach out to people she wouldn't normally meet, she may be the exception to the rule. Many other users interacting online are content to stay within the confines of their familiar social networks — which may not look so different from their real-world social networks.